1.8 degree 2 phase Nema 23 stepper motor linear actuator with high performance and cheap price, stepper motor length 46mm combine with a precision lead screw, providing holding torque of 0.65 Nm, current per phase 1 amp. 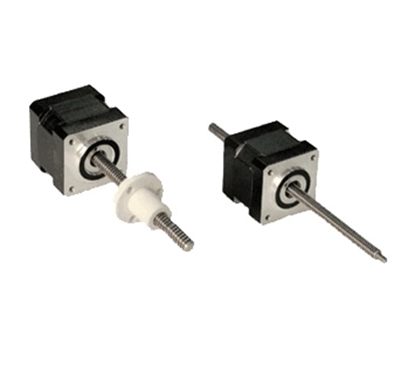 2-phase 1.8 degree Nema 11 stepper motor linear actuator is available in non-captive, external shaft options. 2.66V rated voltage and 0.95A rated current, 8mm screw diameter and 8mm/rev lead, delivering long life, high accuracy in a extremely compact package and low cost. High performance driving units, which combines 2-phase Nema 11 stepper motor and 8mm diameter and 8mm/rev lead screw to eliminate coupling. The 0.96A 4.4V stepper motor linear actuator has external shaft style and non-captive shaft style for your selection. 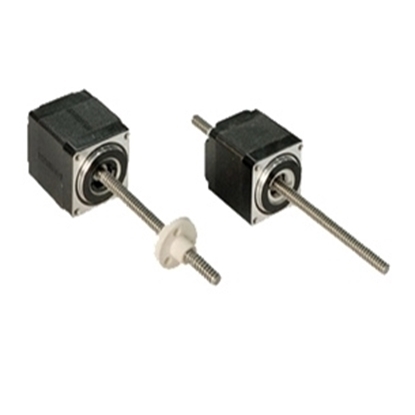 The 1A 2.7V stepper motor linear actuator comes in Nema 14 frame size, 2 phase 4 wire, 1.8 deg. step angle (200 steps/rev), providing higher performance and lower consumption. 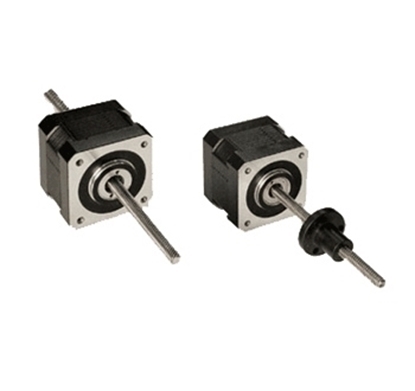 Two motor types external shaft and non-captive shaft are available. 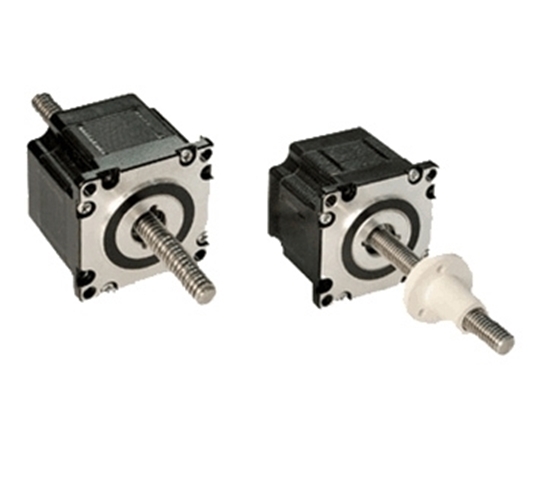 High Precision 2 phase 4wires bipolar stepper motor linear actuator comes in Nema 17 compact size, is available in non-captive shaft and external shaft style options. It offers 1.68 amp rated current and 2.8 volt rated voltage, special nut design secure long life operation. This hybrid stepper linear actuator comes in Nema 23 frame size, non-captive and external linear versions are available. It provides the options of selecting the diameter and travel per step of leadscrew as well. In the aeronautical dynamic system, the regulating valve is one of the most important flow regulating devices. The realization of motor propulsive force change and accuracy control largely depends on the characteristics of regulating valve, which requires a very precise proportion of the change of flow and the stroke of the stepping linear motor. Now there is a new type of regulating valve which combines the stepper motor linear actuator and valve body. The main structure of the regulating valve is a stepper motor linear actuator, a valve core, a seat and a return spring. The valve core and the active cell of the stepper motor are connected with each other in structure. Due to the linear motion of the active cell, the valve core connected should also have linear motion. The valve can adjust the circulation area and the aperture, which forms the change of the flow, so that the flow can be controlled. If the throttle surface of the valve core is made into a para-curve, then the flow and stroke will have linear relation. Therefore, the stepper motor linear actuator with high reliability, high positioning precision and high performance has a very good application prospect in the aviation industry. ATO external stepper linear actuator in this video is 2 phase 4 wire comes in Nema 23 frame size. We will show you how to use PLC connect to the hybrid stepper motor system, and control this external stepper motor linear actuator for simple forward and reverse motion by the pulse and direction command issued by PLC.